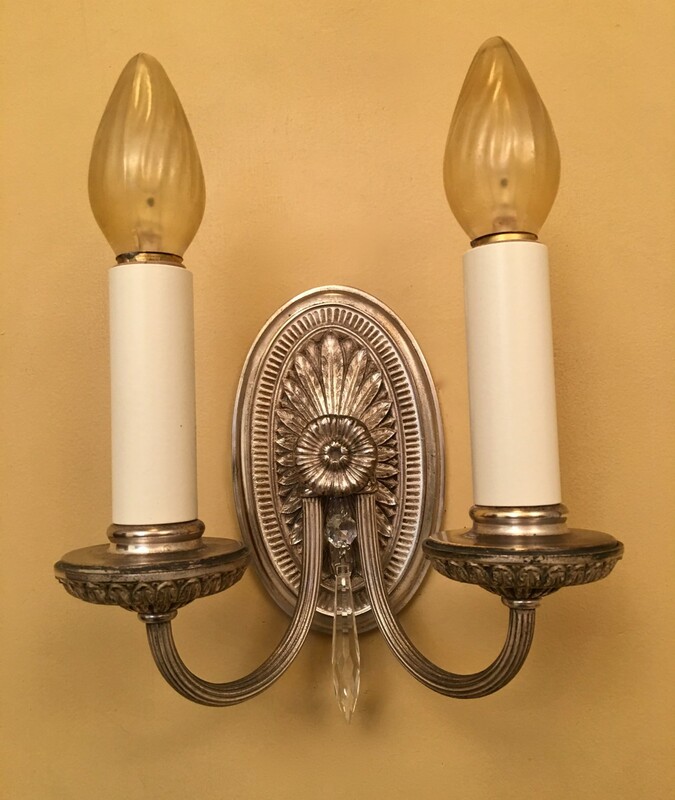 I purchased four of these 1920s sconces. 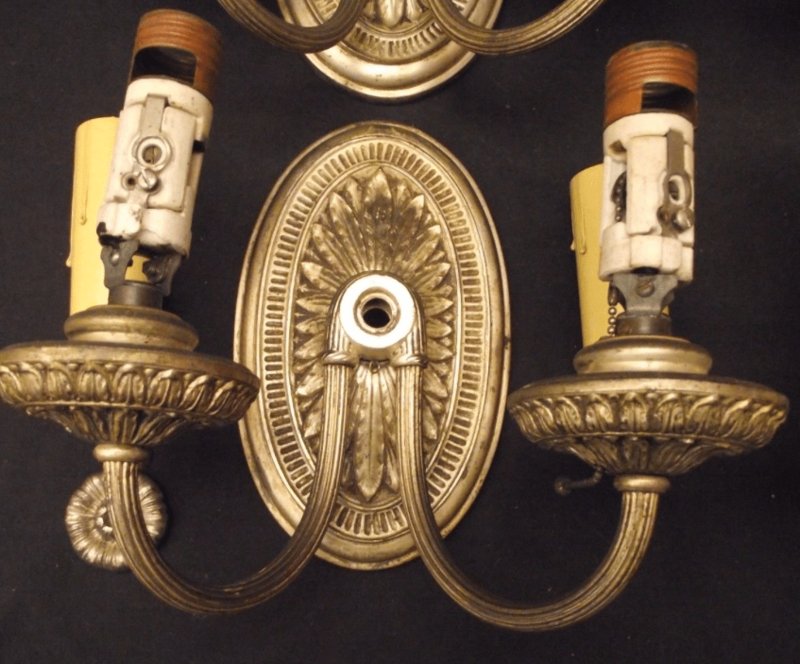 I loved the quality, and knew that under the grime was silver-plate. Pretty! And each had a little hook for a single crystal drop! I also love the big flower finial in the center.